Yeah. I mean, it makes it a lot easier when we only take – we didn’t have many penalties, except for whatever that was in the [overtime]. So that makes it a lot easier for guys to get into it from top to bottom and get a rhythm. Our D obviously had to play with four, so they did a really good job. I feel good. It’s about getting better every game in preseason. That way I’m ready to go right from the start. Tonight I thought our line as a whole, we turned a lot of pucks, and Kinger and me both could’ve had a couple. Possession’s a big part, and any play you make has to be playmaking towards their net, and when you’re passing it back, the ice and buildings and bouncing pucks, if you’re making plays going towards your net, you’re going to be in trouble. The other side of it’s a counterpunch game. I thought we were able to create some good chances, and I think especially off the rush there Brownie was able to get some good looks. Kinger had some good looks, too. Just executing a little bit better. It’s huge. The best penalty kill is not taking penalties, but I think that’s a testament to everyone moving their feet, nothing with their stick, and just being in a good position. Certainly. I’m in the same group as everybody else, and that’s coming out here and trying to contribute to this team and trying to be a part of it. That’s every day getting better. I’m trying to make the team. I think it’s good. It was a full three periods. I think we were able to do a lot of good things out there, and any time you pull out a win on the road, that’s always a good thing. 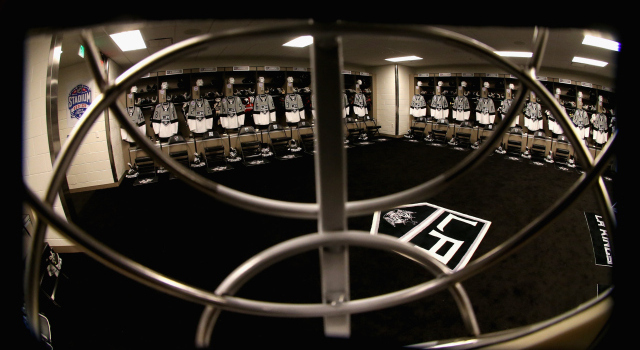 Update: The Kings are now scheduled to practice at 11:00 am at TSC on Monday, September 28.